Download our 2018 Series Sponsorship proposal here. From the thin air on top of a 14,000 foot peak to the lush meadows at the base of the Rockies, it becomes part of you. Pactimo tries to put that spirit into everything they produce. Pactimo apparel is tested in the most extreme conditions, so that whether you are riding up a pass in 30 degree weather, or through 100 degree heat, you can be confident it will perform to the highest of standards. Pactimo loves where they live and what they do. As a lifestyle company, it is their goal to enhance the life of every person who works for them, while doing their utmost to serve their customers. Whether it is figuring out your order, designing your artwork, or trading great stories after your event, Pactimo hopes you will always feel as though you are part of their family. Building wheels is a craft that requires knowledge and patience. I am an engineer by trade. As such I have the innate mechanical aptitude and attention to technical detail necessary for quality wheel building. What I can build you is a high quality carbon fiber or aluminum wheelset that fits your needs. I do not make compromises; every component we (because this is a collaboration between you and I) decide to use is of the highest quality. Learn more about PSIMET custom wheels. Zeigler of Schaumburg is proud to offer a first-rate car buying and ownership experience for our customers in Schaumburg and all over the greater Chicago area. We are delighted to have an opportunity to show you why you can’t go wrong when you walk through our doors. With multiple distinctive brands- Chrysler, Dodge, Jeep, Ram, Chevrolet, Fiat, Maserati, Alfa Romeo- you have a wealth of choice in one convenient location. We carry a great variety of new cars, SUVs, and trucks, and our friendly sales team is always ready to help you navigate the options if you’re not sure where to start. We have a full-service center with factory trained technicians to service any and all of your new or used car vehicles. Please visit our website at www.zeiglerchryslerdodgejeep.com or www.zeiglerchevrolet.com or give us a call at 847-380-8083. Whether you want to secure your bike against theft, protect your head in a fall with a bike helmet or simply transport a few items without damaging them. ABUS provides the right solution for all these tasks. From basic protection to high-tech locks to protect you against theft. Or from the first bike helmet for your child to helmets for professional cyclists. Or from the wide range of sportive, elegant and functional bike bags. CBBEL is a full service engineering and surveying firm specializing in Civil, Transportation, Municipal, Traffic, Construction, Water Resources, Environmental, Structural, and Mechanical Engineering. CBBEL is the only “Platinum” level Bicycle Friendly Business in Illinois and is a proud sponsor of The Pony Shop CX team, The Pony Shop Juniors, The Chicago Cross Cup, Bikes for Lesotho, the Elmhurst Cycling Classic, and many other alternative transportation organizations and causes. CBBEL employees have commuted over 310,000 miles by bicycle since the inception of their Bike to Work Program in 2006. Clif Bar was born on a bike in a moment our founder, Gary Erickson, now calls ‘the epiphany.’ Today, Gary and his wife, Kit Crawford, continue to lead Clif Bar’s innovative business model. Guided by Five Aspirations, Clif Bar is a family and employee-owned company that loves food. Owner, EJ Lenzi, and manager, Abelino Cepeda, bring over 50 years of combined restaurant experience to Chicago’s North Shore. Teamed with a mature, experienced wait staff, and serving the finest food products available, EJ’s Place has become the North Shore’s premiere supper club. Established since 1997 and selected one of the Chicago Magazine’s Best New Restaurants, EJ’s menu consists of prime aged steaks and chops, pristine seafood, and traditional Italian specialties. Keating Law Offices is a Chicago, Illinois firm of trial attorneys focused on handling cases involving bicycle collisions and accidents. Keating Law Offices has successfully represented hundreds of bicyclists throughout Illinois who have been injured in a bicycle crash or accident. If you have been injured in a bicycle crash or accident, please contact Illinois Bike Accident Attorney Mike Keating at [email protected]keatinglegal.com or call Keating Law Offices at 312-208-7702. All initial consultations are free and all communications are confidential and privileged in accordance with Illinois law. The Pony Shop is a locally owned and managed bicycle shop that’s been a part of the community since 1969 providing Chicagoland’s cyclists (CX racers) professional yet friendly service. The Pony Shop’s philosophy is simple: provide the absolute best service by hiring and keeping the best bike people around, and allow them to introduce innovative products to you to try and buy. The Pony Shop believes in, rides, and uses the same products they sell to you. Main Street Bicycles was started in 2004 with the mission of being one of the greatest full service bike shops around while supporting the bicycle community in as many ways as possible. Located in historic Old Town Carpentersville, they are pedal strokes from the Fox River Trail system connecting the entire Fox Valley with other wonderful trail systems in Northern Illinois. As a full-service shop, Main St Bicycles can fit you on the right bike, make sure you have the right gear to be safe and comfortable, and continue to keep your bike at optimal performance with expert repairs and service. Spidermonkey Cycling is an all-inclusive cycling club based out of Chicago, Illinois. Spidermonkey formed after the closure of a local Chicago bike shop and cycling hub. Four riders, Dean, Nate, Matt and Vanessa, were left pondering whom to ride with. The foursome wanted a tight group where riders would not get lost in the pack, and also a group that emphasized completion as much as competition. CMIT Solutions is an IT consulting firm organized to support midsize & small businesses with offices in downtown Chicago. We take care of all hassles associated with computers and networks. We offer a predictable flat rate service delivered by a friendly local team – sometimes by bike. Beyond Chicago, we have the reach of the leading national SMB IT outsourcing network with over 130 locations. 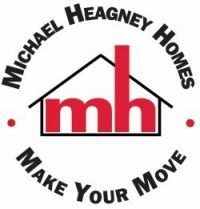 Michael Heagney’s diverse entrepreneurial experience and management skills are the perfect fit for a rapidly changing real estate market. Assisting today’s client in making the most important financial decision of their life requires experience in the market, thinking outside the box, embracing technology and honing in and listening to a client’s needs, goals and wants. As a self starter with an ability to wear many hats, his experience in overcoming the hurdles in a market place are second to none. Attributes you want on your side when serving on your behalf as a trusted advisor, skilled negotiator and expert facilitator. As Training Bible Cycling coaches Joe Friel’s methods are the framework of our approach. We are fortunate to have both training and ongoing guidance from the foremost authority on training endurance athletes in the English speaking world. We also have coaching and racing experience in every discipline that cycling has to offer. With a Training Bible Cycling coach you’ll have decades of race experience and the most current science in your corner. Chicago’s Coolest Little Bike Shop located square in the middle of the best big cycling city in North America. Litespeed, Redline, Jamis, Torelli, All-City, Surly & Custom Builds. Fast friendly service. Ride on. SnowyMountain Photography is a boutique action studio that excels in capturing moments from the wild. We don’t wait for the perfect shot to come to us, we track it down in its natural habitat. Our goal is to find beauty in ordinary pursuits, and to craft stunning images that highlight personal moments of greatness. Our portfolio also includes wildlife, nature, and abstract photography. We work with our clients to capture the images that they want of the things they love. Since 1996 Spin Doctor Cyclewerks has been offering fine bicycles, quality accessories, and expert repairs to the greater Bartlett cycling community. Their customers appreciate the shop’s honest, attentive, and patient customer service. Spin Doctor Cyclewerks invites you to visit them soon. Enjoy life, ride often! Tailwind Cycles is a full-service bike shop located in the Albany Park neighborhood of Chicago offering in-shop and mobile bike repair, tune-ups, and bike fitting. We specialize in pro-level service and on site race day support. 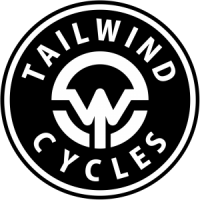 Tailwind Cycles is a new shop, but we have a wealth of experience in the industry. We make your ride easy! We are a full service certified mobile bike shop. Book your service online, we come to your door and you save time, ride more. We encourage clients to sit and have a coffee with us while we do the service. This gives Clients the opportunity to view their bike being serviced and we can answer any questions or concerns. Velofix is committed to quality service at a competitive price, book an appointment today! Are you looking to increase your power/wattage or are you uncomfortable on your bike? Book a BikeFit and we will come to you! Do you have a bike collecting dust in the basement, let us help you get it back to rideable condition so you can enjoy riding again. Book a service today and see why we are North America’s largest mobile bike shop. Simple, easy online bicycle race registration. You can register for all 11 CCC races on BikeReg.com. The Chicago Cuttin’ Crew is a team of exceptional riders built from the messenger community and urban street racing circuit. We have built relationships and friendships through a unique, shared passion for cycling. It has quite literally defined our lifestyle. We exist in a pronounced messenger culture that was not made by this team, but it made this team. The Chicago Cuttin’ Crew has made a name for itself grinding out credibility on the streets one day, one race at a time. We’ve been on other teams, we’ve seen other teams, we are not like other teams. Mad Alchemy Embrocation is a line of all natural body care products hand-made in small batches to ensure the highest quality product available. Established in the spring of 2008, Mad Alchemy Embrocation satisfies the skin care needs of cyclists looking to maximize their experience on the bike. All the ingredients in Mad Alchemy Embrocation are from the earth, pure and simple. The containers that house our products are completely recyclable, but are nice enough that you’ll want to reuse them to store your extra race number pins, candy, marbles… whatever. Tipping Point Photography offers people-focused photography, telling important stories through documentary-style images. Our relaxed and personable approach ensures a fun and relaxing experience for our subjects. The result: authentic, vibrant images that move you. For your professional needs, we combine our photo know-how with our extensive marketing background to create down-to-earth headshots; powerful images for social media, websites, print and other marketing channels; fun event photography and more, with a focus on small businesses and nonprofits. For your personal needs, services include family and pet portraits; weddings, celebrations and other milestone events; beautiful framed travel photography prints; and general documentary work for your daily life. See more at www.tippingpointphoto.com.